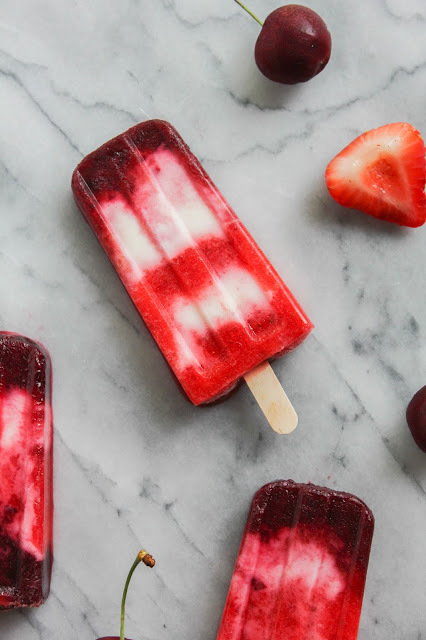 Cool off this summer with these healthy and delicious Fruit Swirled Yogurt Pops! Made with fresh strawberries and cherries, they're bursting with flavor and so simple to make! One of my favorite things about the warm weather is getting to eat lots of frozen treats. 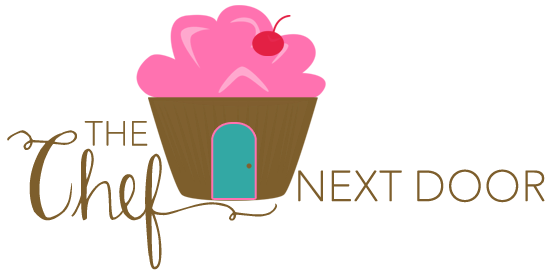 I pretty much eat ice cream all year round, but during the warmer months I love to make my own homemade ice cream and other goodies. 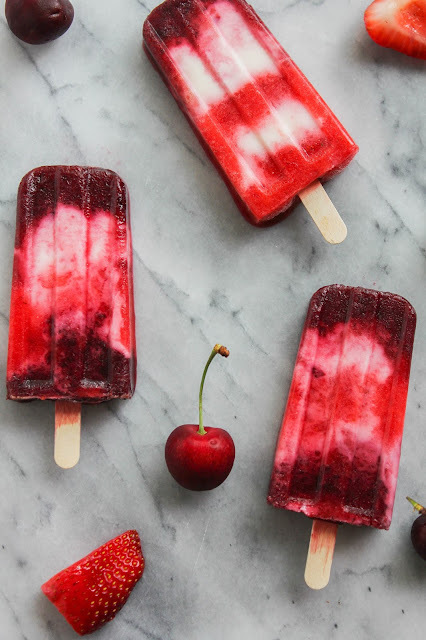 These Fruit Swirled Yogurt Pops are one of newest creations! 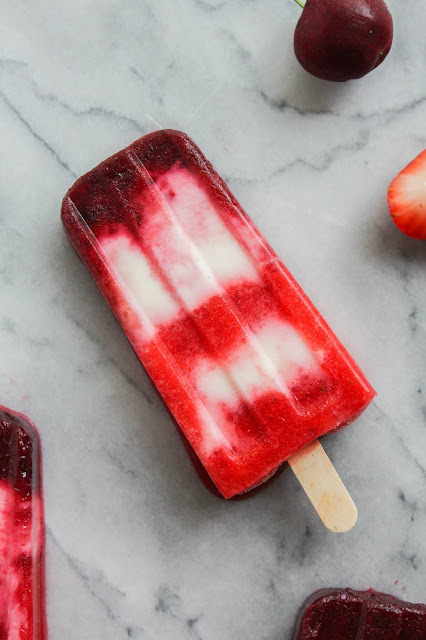 Made with just four ingredients, these yogurt pops are beautiful, delicious, AND healthy! I created this yummy recipe in partnership with Produce for Kids for their 2016 Spring Campaign. I participated last year and really enjoyed promoting such a great cause. Produce for Kids teamed up with Meijer to bring Jump with Jill, a rock & roll nutrition show, to local schools. The campaign launched May 29 and runs through June 26. 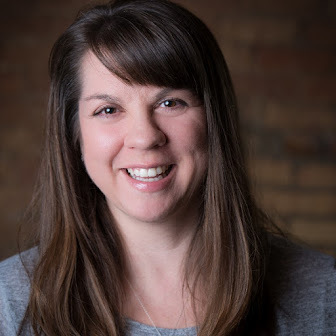 It will raise funds for Jump with Jill and offer Meijer shoppers healthy meal solutions, recipes and tips. Since 2013, Produce for Kids has donated $342,823 to Jump with Jill, and about 75 schools have been supported through the campaign since fall 2014! The campaign is supported by nine participating fresh fruit and vegetable suppliers, representing most major categories of fresh produce. 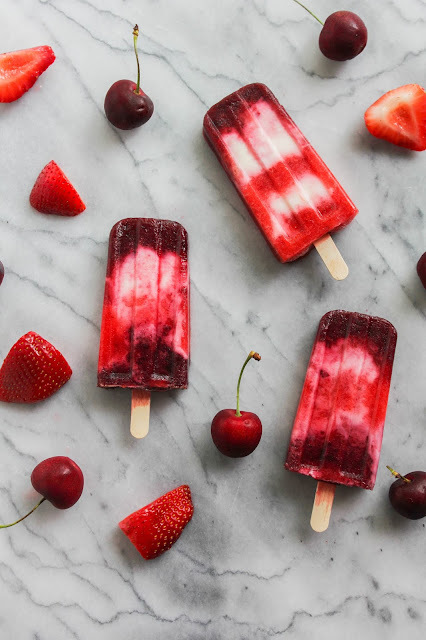 These Fruit Swirled Yogurt Pops are made with Well--Pict Berries® Strawberries and Grower Direct® California Cherries, plus yogurt and a bit of sugar. That's it! Just four ingredients is all that you need to make a delicious and healthy frozen treat for your family. Be sure to visit www.produceforkids.com/Meijer for more information on how to support the campaign. Visit the Produce For Kids website for more than 200 registered dietitian-approved and family-tested recipes, meal planning tools, grocery store specific campaign details, and healthy tips from real parents! Follow Produce for Kids on Facebook, Twitter, Instagram, Pinterest and Snapchat (ProduceforKids) for more recipe ideas and healthy eating tips all year long! Now, are you ready to make this easy and tasty frozen treat? I know I am! In a food processor, puree the strawberries with one tablespoon of the sugar. Transfer to a small bowl. After cleaning the food processor, process the cherries with one tablespoon of sugar. Add those to another small bowl. In a separate bowl, whisk together the yogurt and remaining tablespoon of sugar. Using a tablespoon, alternately add the three mixtures into ten popsicle molds, making 3 to 5 layers in each. With a knife or skewer, swirl the mixtures together. Freeze for one hour, then insert popsicle sticks. Continue freezing for at least three hours, or until solid. I partnered with Produce for Kids to bring you this recipe and thank them for their sponsorship. I was given a gift for my participation, however, no additional compensation was received. All opinions, as always, are my own.